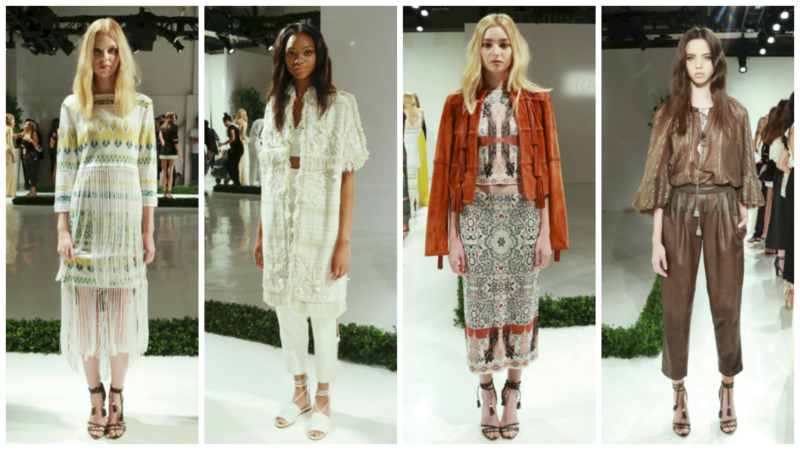 When it comes to fashion and fabulous style, Rachel Zoe is your girl. I’ve been a fan of hers for quite some time now and when she initially announced she would be introducing a clothing line into her franchise I was super stoked. From her bold fur adorned looks to her boho chic outfits, Zoe has a timeless look that I believe is to die for. She presented her Spring/Summer Ready to Wear line during New York Fashion Week on February 14th and the looks beautifully captured the late Seventies while incorporating modern silhouettes. I personally expected this line to have an absence of color due to Zoe being an avid wearer of blacks and whites. Her muted color palette was extremely refreshing and I find myself wanting to pair these colors into my own looks. Her pieces were very cohesive and in turn told a story that was filled with romance. I appreciated the integration of her own personal style into this collection and can’t wait to see them off of the runway!